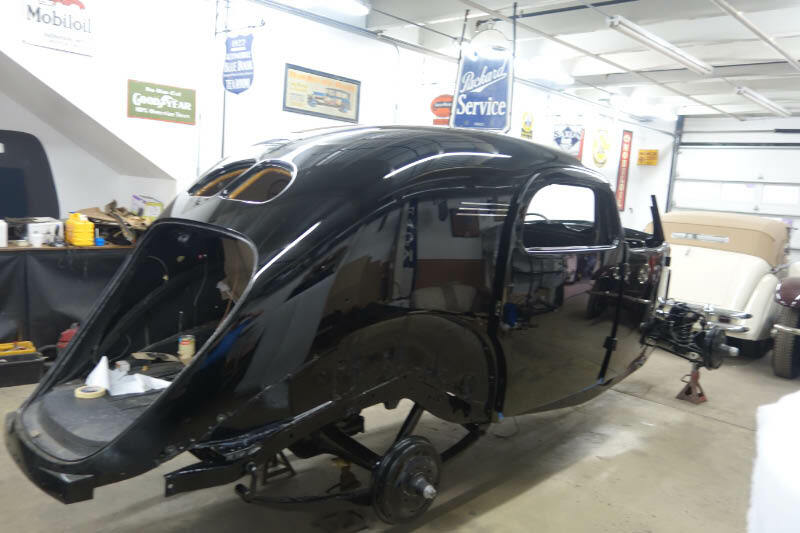 Historian and coachwork specialist Walt Gosden has been providing reports on the restoration of the 1937 Chrysler's Chrysler at Steve Babinsky's Automotive Restorations, Inc. in Lebanon, New Jersey. 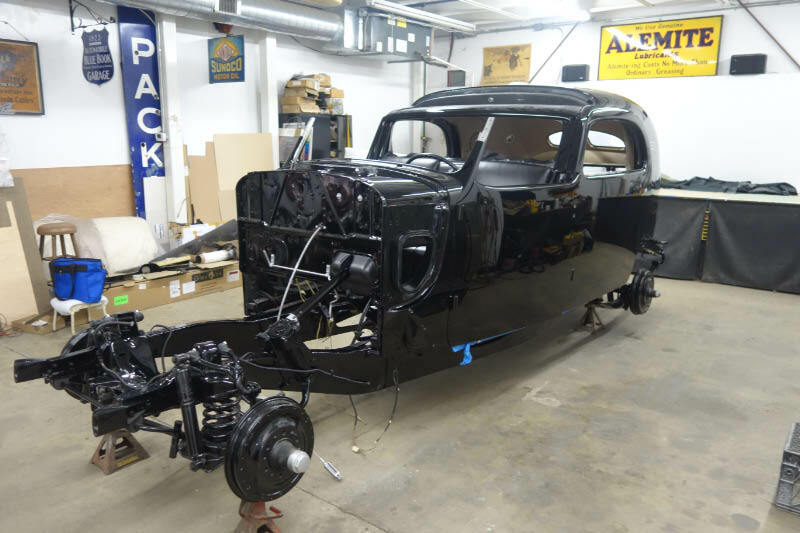 The ninth Chrysler's Chrysler Chronicle article highlights the progress made over the 90 days at Steve Babinsky's restoration shop. 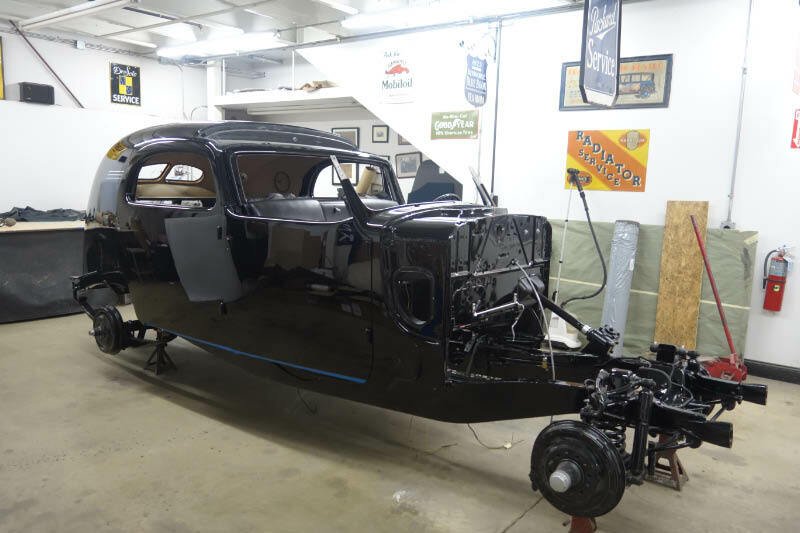 Since our last visit in late February the Chrysler has been relocated from the paint area to the upholstery area 100 feet away. 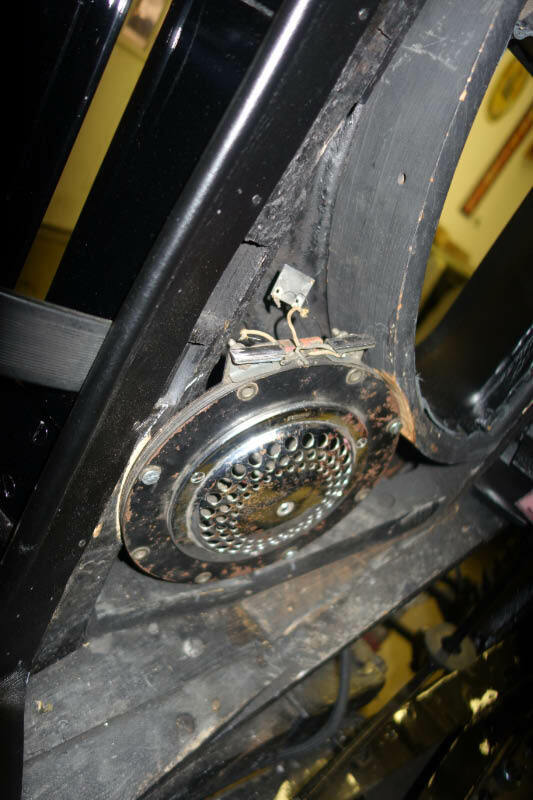 The rear axle assembly has been reunited with the chassis and sheet metal covers encase the rear leaf springs as per original. One set of covers was missing so they had to be fabricated from scratch using the one existing cover as a model to work from. 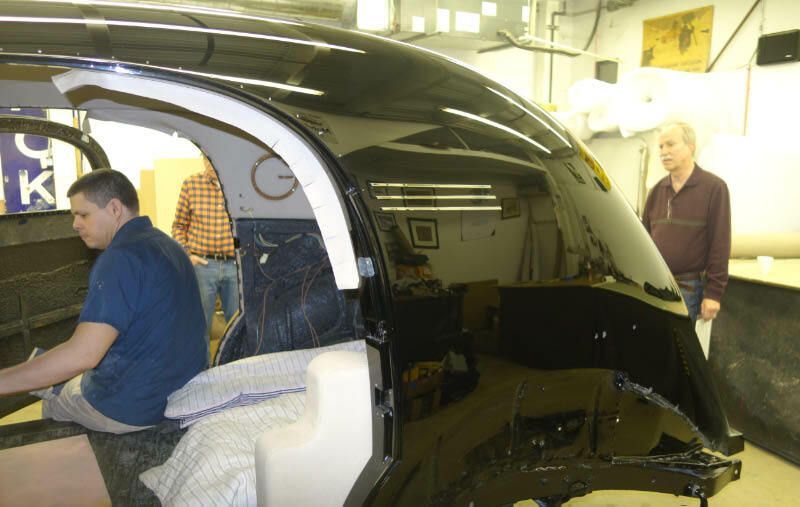 The car continues in a state of reassembly, and has been given top priority to be finished. Careful steady progress can be seen and after a year of disassembly, and recreating and restoring parts and sections of the car that took many hours to complete. Large areas have come together and are "done". The reinstalled restored rear axle can be seen here. Note the chassis ends, yet the body continues on well past (nearly 1 foot) the end of the frame. Remember the body is all framed out of ash wood so that extended tail of the body is all wood with a sheet metal covering. All four doors have been re-hung. All doors are hung but no latches or windows fitted. 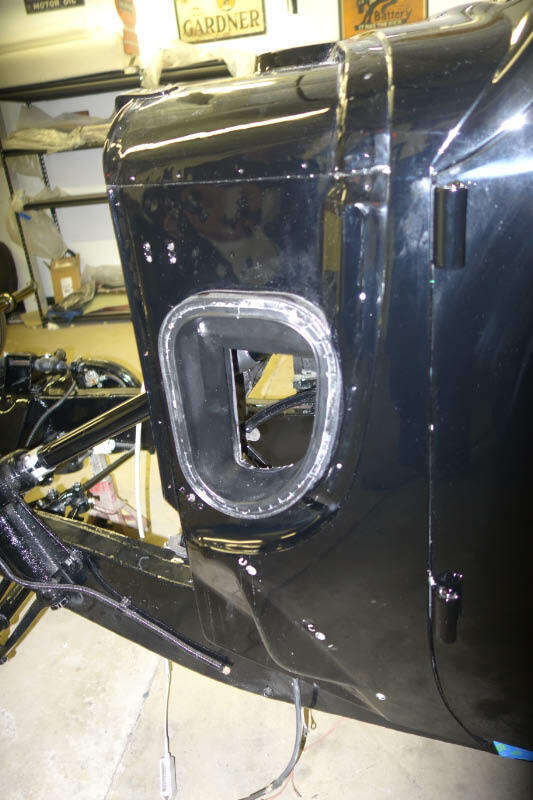 Blue tape is to stop any scuffing of body sill paint while work on the interior continues. The paint has been wet sanded and polished out. 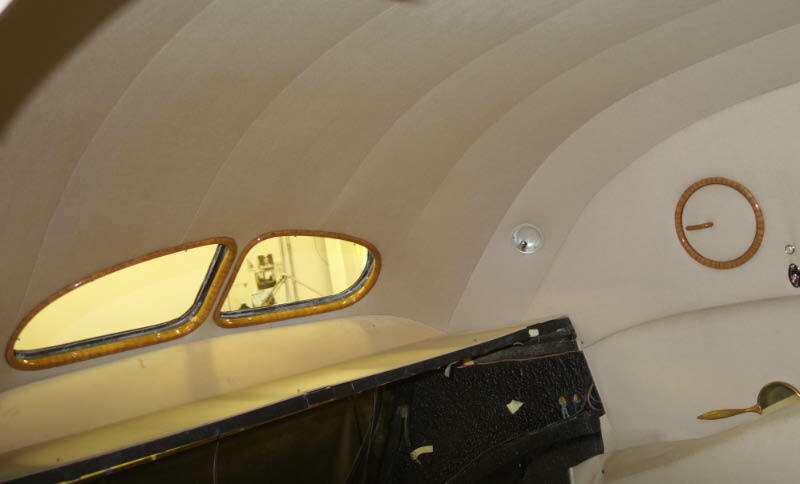 The front seat cushions are in place and the area around them is in the process of being trimmed. 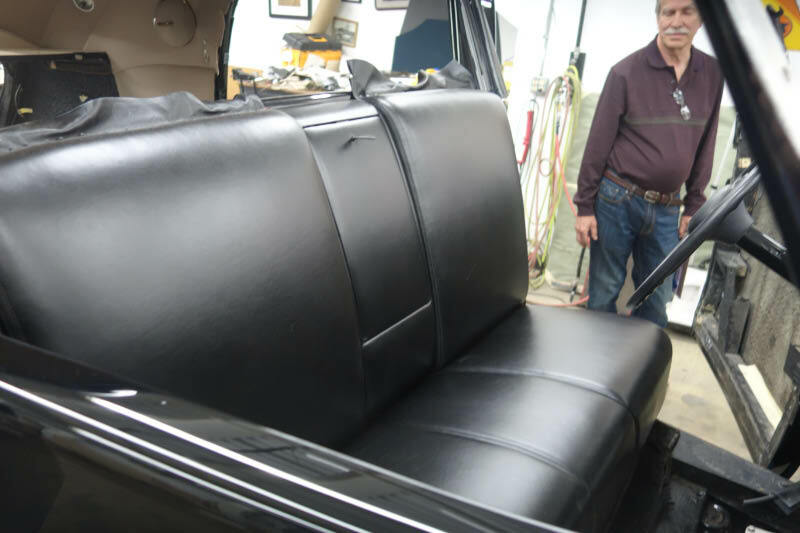 The black leather is furniture grade and very soft to the touch. 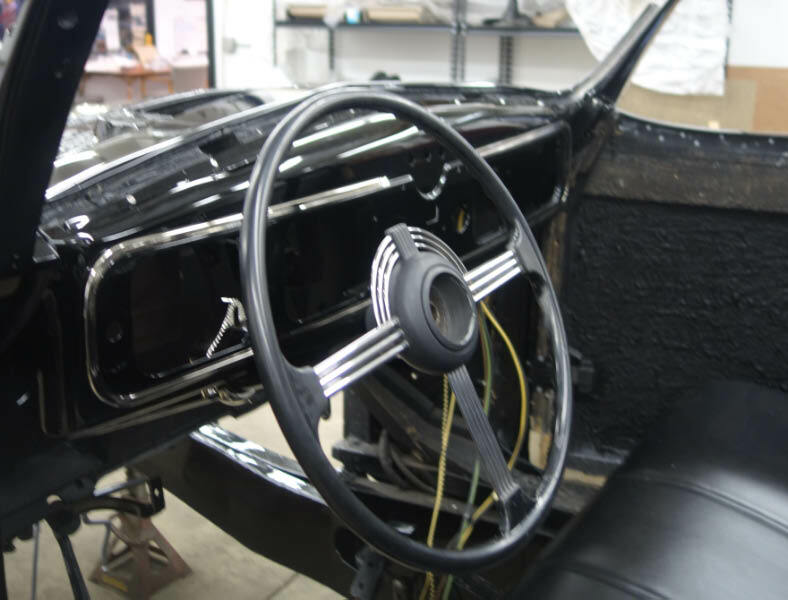 The dashboard has been installed and the plating there is all done in nickel. 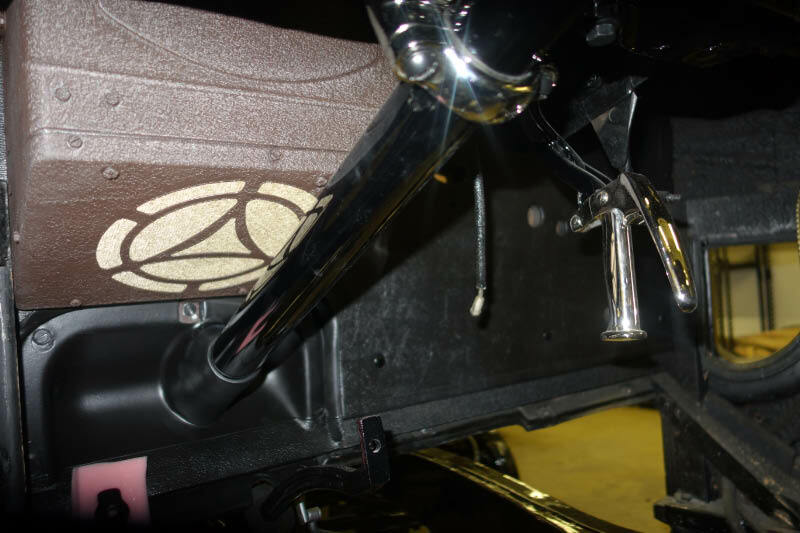 The steering column and wheel are back in as well. 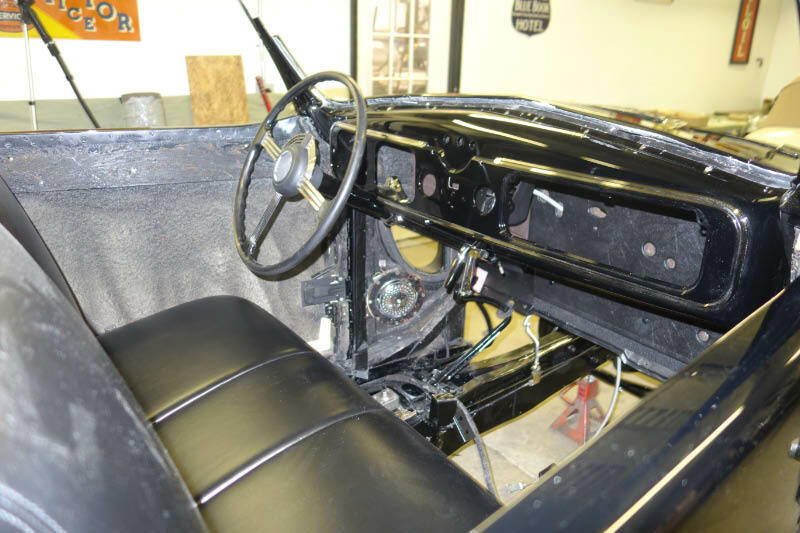 A view of under the dash board - note the speaker box for the radio tucked in above the steering column and the plated (chrome) emergency brake handle. The firewall pad that was restored /recreated is now in place as well. 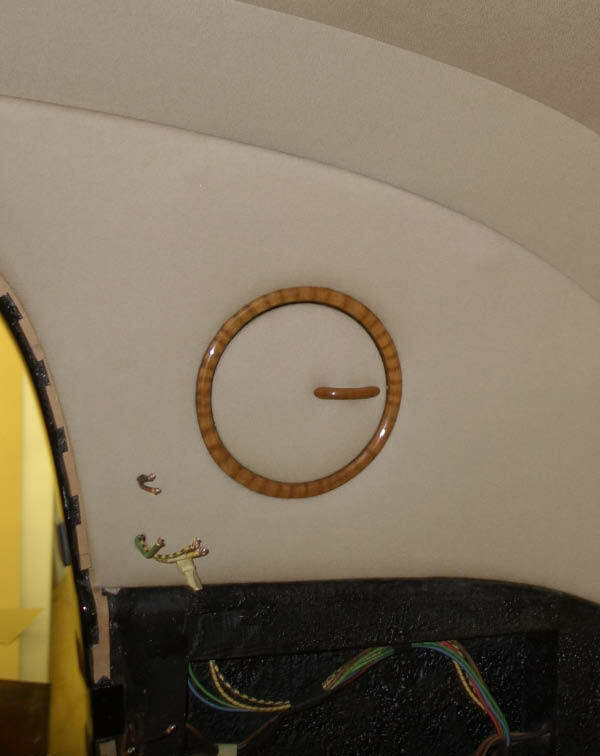 The intercom speaker is located at the lower left cowl kick panel. It's new plating is reflecting the rest of the interior area. The left cowl vent is shown here and a wood frame made up of small individual wood blocks and all held in place by separate screws. 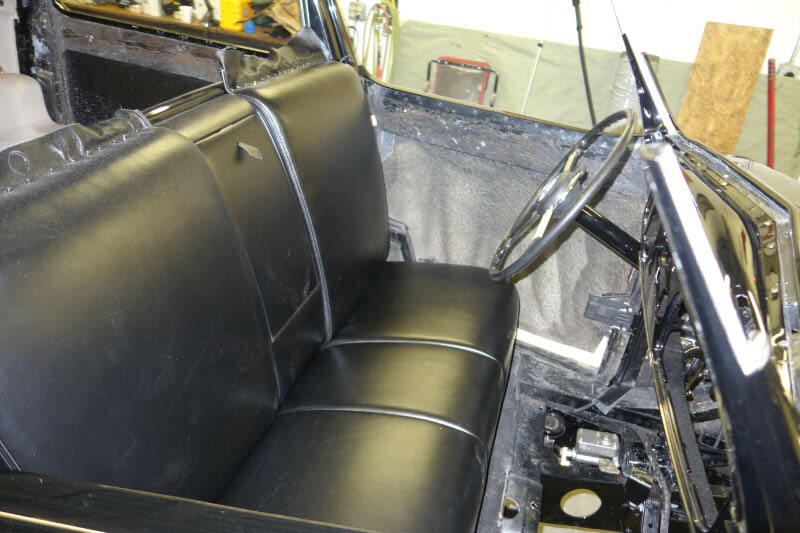 The whole unit is then covered in leather. 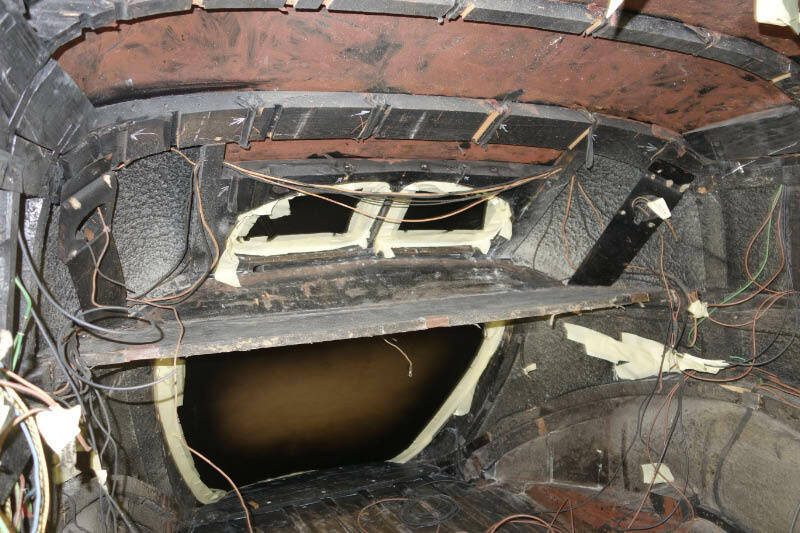 The new headliner can be viewed here and restored wood rear window trim is in place - no glass has been installed yet .Compare this with the below photo taken in February 2014. The rear window from the outside. 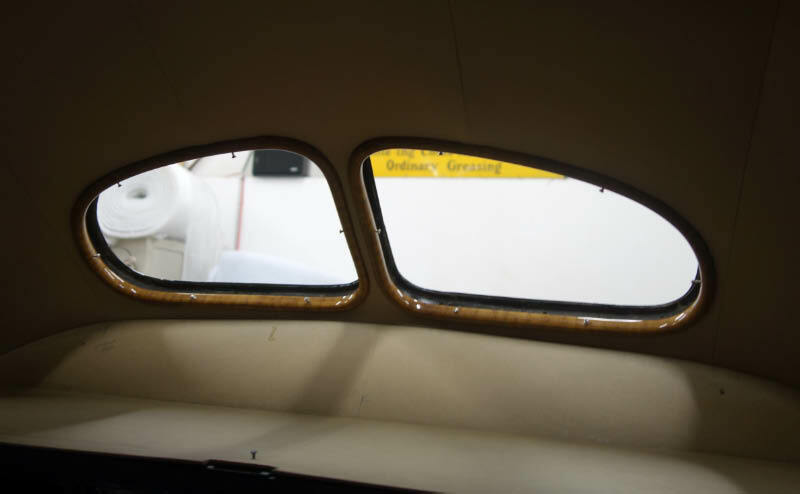 Rear window from the inside. The honey color of the tigerwood is amazing. The oval vanity on the right side at ear level - a similar one is on the left side. 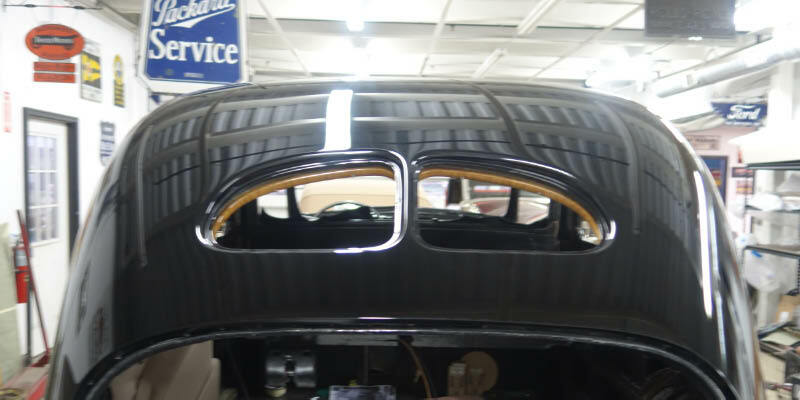 Mike of Automotive Restorations sits on the floor of the rear compartment, note the plated speed lines that are at eye level on the outside of the body have been reinstalled. These had to go on before the new headliner was installed. 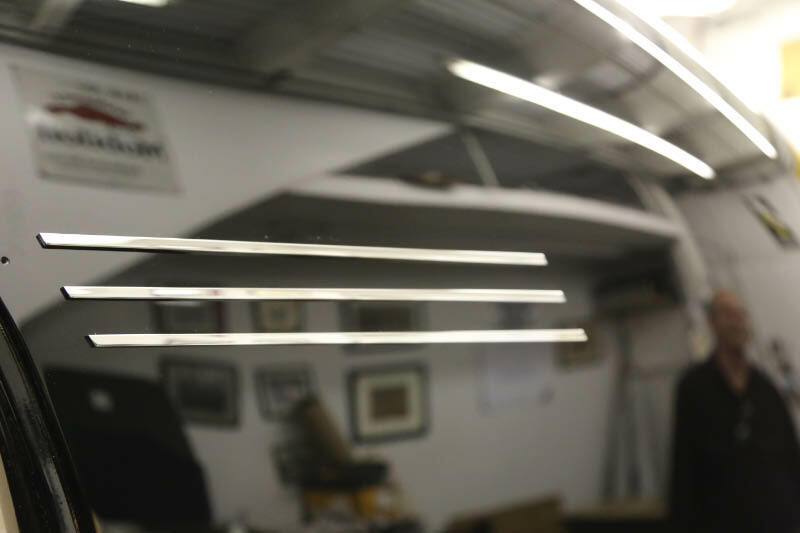 A close up of the purely decorative speed lines, made of brass and chrome plated. Looking good and lots of CHEERS to you on this project !!!!! It’s really coming together now. The rest has to be done so carefully now. It’s getting to close to finishing it. Things have been going along very smoothly and a lot has been done, even though it’s taking a little; longer than expected. A fantastic job is being done. It’s amazing what has been done to it, being so badly damaged and all the extra work that had to be done, it’s unbelievable. Enough said. So surprised to see the work in progress on that historical Chrysler. It was nessersary for that work to be performed. Not many automobiles get a chance to shine as it did for their original owners. I’m glad that you had rescued this magnificent Chrysler, and once again be apart of living history..
Have you considered adding a jack to the radio to play your I pod through it? Was thinking vintage 1937 big band music emanating from it would be fitting a time machine effect as well as having you in vintage driving attire with Roz as Mrs Chrysler.